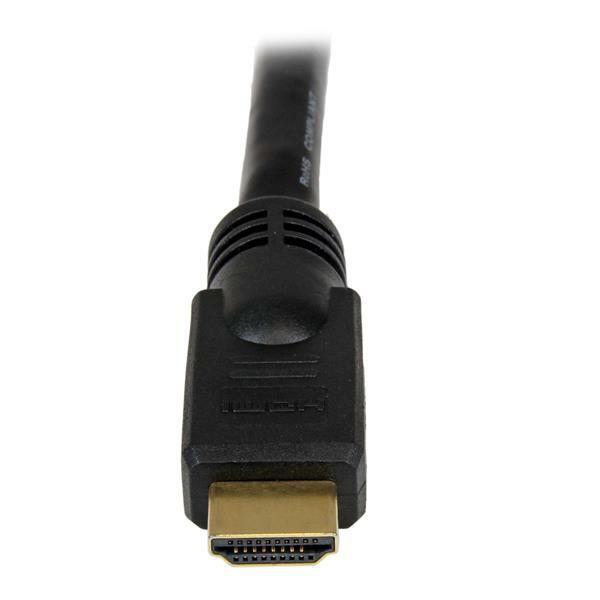 The HDMM25 High Speed HDMI® cable (25 ft) features 2 gold-plated HDMI (male) connectors and durable high quality construction to provide a dependable HDMI to HDMI connection between devices such as Blu-Ray Disc™ players, HDTVs, DVD Players, stereo receivers, projectors and more. 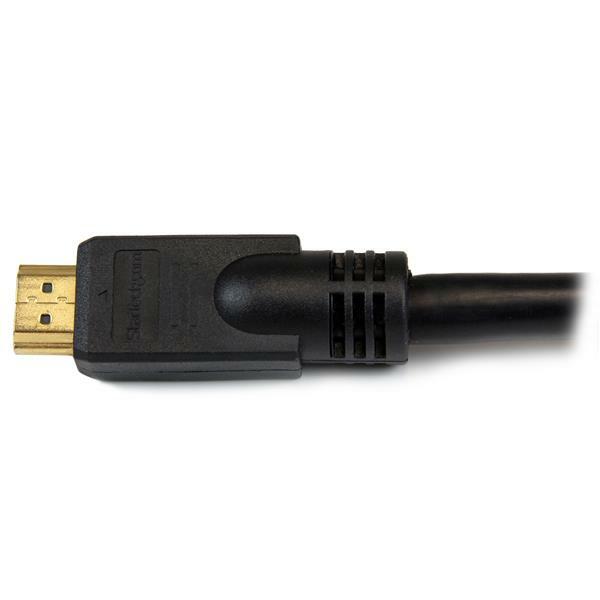 The HDMM25 25-foot HDMI cable is backed by StarTech.com's Lifetime Warranty. (5 stars) very good quality! This HDMI cable is fantastic. I love the quality of the video and audio I get and the quick and easy connection from my laptop to my projector. The terminations are well designed so seems like a very durable cable. I watch movies in HD and this cable brings me no issues. The only downside I would say is that it's very thick making it somewhat difficult to hide compared to similar cables. However, this cable carries a lot more bandwidth so it's worth it. The length is perfect for long distances and wrapping around the living room. I like that it's heavy duty and carries a high speed signal. Cable worked very well. Used it to hook up our cable box away from our TV. Picture was very clear and crisp. Extra length on the cable worked great for what we needed it to do. The cable gauge is very thick so a little tricky to get it in our HDMI port because of where it's located on the back of our TV. There is a little cut out that doesn't allow for much room for the cable to bend. But once it was in, there wasn't any way it was going to come back out. 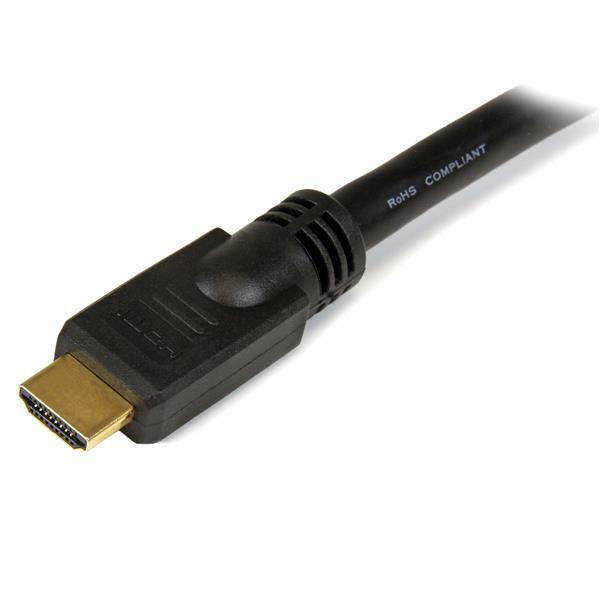 I got a free sample of this cable to try but would recommend purchasing it if you are in the market for a 25ft hdmi cable. very well made and clear picture. 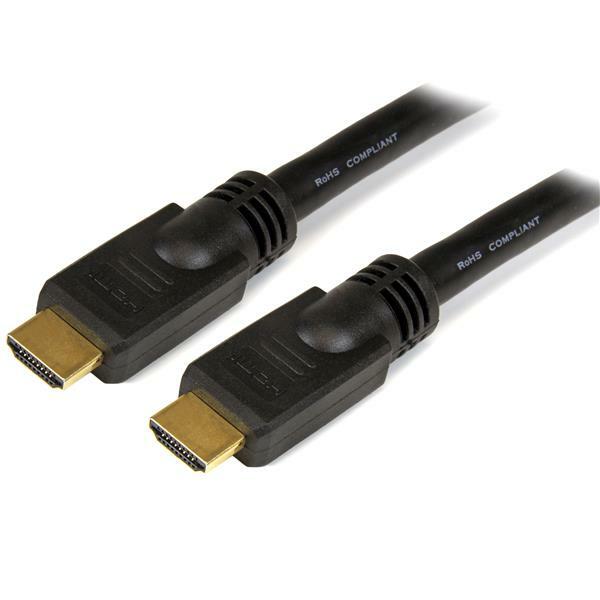 I selected this cable because it was 4k capable, even though I'm only using 1080p at this time. I was surprised when it came that it is 10mm thick and rather stiff! However it is doing the job I need it to do.